#cleaneating is the newest buzz in the diet and nutrition industry (and on Instagram). The working principle of clean eating is that eating natural, whole foods and avoiding processed ones can help improve your overall health. But, many health experts are skeptical about the big claims of clean eating because this might be just another fad. 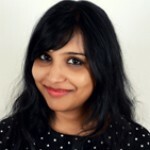 Read on to know all about clean eating and if it is worth trying. Let’s begin! Can You Lose Weight By Eating Clean? Is Clean Eating Backed By Science? Clean eating is a simple diet strategy of eating nutritious and whole foods and avoiding processed foods. Clean eating is not just a diet. It is also a way of living. You will consume foods in their natural state, devoid of chemicals, and loaded with nutrients – like fruits, veggies, whole grains, protein, and healthy fats. And you will cut out processed or refined grains, foods with preservatives and additives, salty and sugary foods, and unhealthy fats and proteins. Practice this eating habit regularly and cleanse your system. It will have a positive effect on your body and mind. Let’s take a look at the benefits of clean eating. No more frantically counting calories. Improve the health of your skin, hair, and nails. As you can see, there are many reasons to eat clean. Not sure where and how to start? Well, I have listed 10 clean eating strategies to help you out. Take a look. The WHO and Food and Agriculture Organization of the United Nations recommend consuming five servings of fruits and vegetables per day. Consuming fruits and veggies has also been associated with reduced weight and fewer health problems (1). If you want to eat clean, a good first step is to start consuming at least 5 servings of assorted veggies and 3 servings fruits per day. Hence, it is best to consume nutritious, unprocessed whole grains as they help to lower the risk of diabetes, heart disease, and cancer while promoting weight loss (2). It is recommended to consume at least 3 servings (1 serving = 15 g) of whole grains per day. These include oats, wheat, barley, red rice, quinoa, brown rice, black rice, and corn. Choose lean proteins like wild-caught fish, chicken, beans, lentils, nuts, and seeds, and if you eat red meat, choose leaner cuts and gamey meats. Ideally, red meats should be limited in the diet as well. Some processed foods like sausage, salami, pre-packaged frozen meals, instant noodles, and ready-to-eat foods on food shelves with preservatives, additives, and “natural flavorings” are a strict no-no. Many processed foods are lower in vitamins and minerals, which are loaded with unwanted ingredients. The goal of clean eating is to stay as close to nature as possible, so it’s best to give up all the packaged junks in “healthy food” disguise as well. Healthy fats like nuts, avocado, flax, fatty fish like salmon, and seeds are great sources of healthy fats. This includes nut butters without sugar or salt, extra virgin olive oil, and rice bran oil for cooking. Healthy fats are mostly unsaturated fats that help reduce inflammation in the body, which promotes heart health and lowers “bad” cholesterol. Limiting added sugar in various processed and packaged foods will reduce risk of developing chronic diseases like diabetes, non-alcoholic fatty liver, obesity, and cardiovascular disease. While you are supposed to consume no more than 6 teaspoons of sugar per day, bad food habits can make you consume as many as 25 teaspoons of sugar per day! 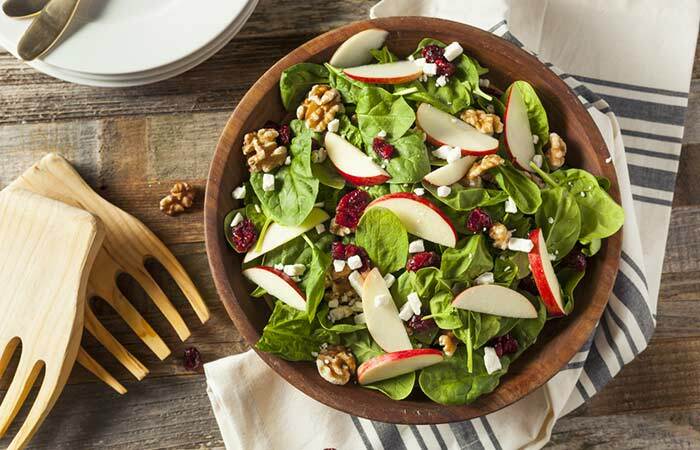 Avoid foods (including salad dressings and sauces) that contain ingredients like dextrose, fructose, corn syrup, high fructose, concentrated fruit juice, molasses, invert sugar, etc. (5). By consuming more plant-based foods, limiting meat intake, and avoiding processed foods, you will help reduce the carbon print. Choosing foods without the use of herbicides, pesticides, or hormones can decrease the level of air, water, and soil pollution. Read the label in its entirety. Look beyond the calories and read the ingredients. You will find that many packaged and processed foods contain preservatives, colors, and additives that are potentially harmful to your health in the long run. The perimeter of any supermarket is where you get all the veggies, fruits, whole grains, and healthy fats. 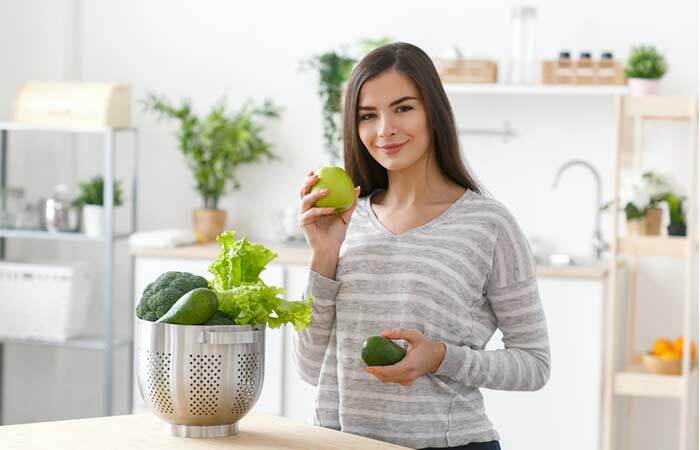 If you want to eat clean but get easily drawn to packaged food, it is best to avoid taking a round of those shelves until you establish clean eating as your new lifestyle. 10. More Than 10 Ingredients, Put It Back! Packaged foods with more than 10 ingredients – particularly those you cannot pronounce – should be avoided. These preservatives are added to enhance the foods shelf life and taste. So, while reading the label, if you find more than 10 ingredients, it best to put it back and opt for a substitute that has a lesser number of ingredients. Eat whole and pure foods – that’s the mantra. Well, this may not look like a whole lot of burden, but practicing clean eating and making it a habit can be tough. But hey! Don’t let that bother you. 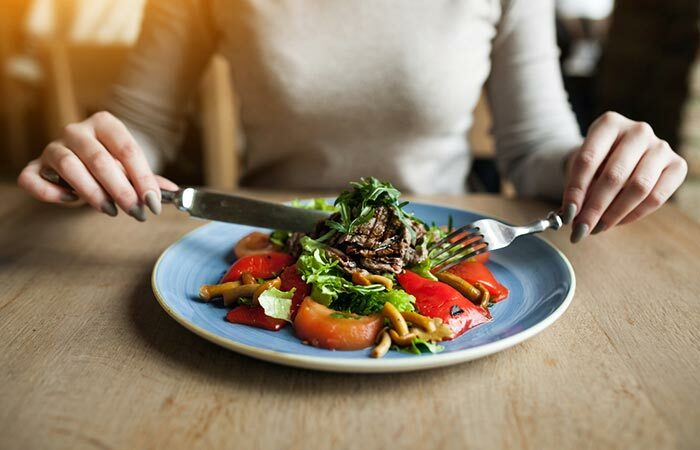 Yes, you might slip a little in the beginning, but if you keep at it, you will soon establish a new eating habit that will make you feel amazing. There’s a lot of buzz that clean eating can help you lose weight without counting calories. Is that true? Let’s find out! You will also avoid a lot of foods that typically have more hidden calories, sugar, and salt, all of which will aid weight loss. Great news, right? So, let’s take a quick look at the foods to eat and avoid. Veggies – Broccoli, spinach, cauliflower, sweet potato, carrot, beetroot, radish, radish greens, kale, chard, beet greens, scallions, lettuce, cabbage, bell peppers, cucumber, zucchini, tomato, arugula, ginger, garlic, fennel, celery, asparagus, onion, Brussels sprouts, and peas. Fruits – Apple, blackberries, strawberries, apple, orange, lemon, lime, grapefruit, plum, peach, avocado, kiwi, apricot, watermelon, honeydew melons, raspberries, papaya, banana, and pineapple. Non-Dairy Milk – Almond milk, soy milk, coconut milk, and rice milk. 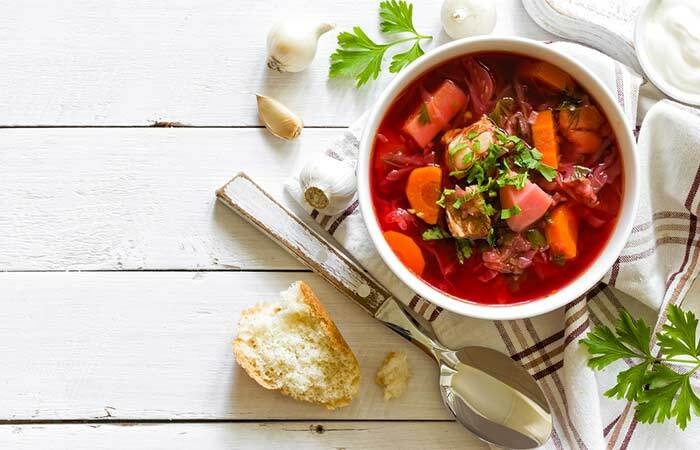 Animal Protein – Whole eggs, yogurt, cottage cheese, tuna, trout, mackerel, shrimp, clam, mussels, skinless chicken breast, and lean cuts of beef and pork. Plant Protein – Beans, lentils, soy products like tofu, quinoa, nuts, and seeds. Whole Grains – Quinoa, whole barley, wheat, oat bran, buckwheat, Ezekiel bread, wild rice, brown rice, red rice, and black rice. Fats And Oils – Tahini, nut butters, olive oil, flaxseed, avocado, nuts, and seeds. Nuts And Seeds – Walnut, almond, chia, macadamia, pistachio, hazelnuts, pepita, flaxseed, and sesame seeds. Natural Sweeteners – Maple syrup, agave nectar, organic honey, fruits, and palm sugar. Beverages – Water, coconut water, black coffee in moderation, freshly pressed juices, and green tea/oolong tea. Herbs And Spices – Cilantro, dill, sage, rosemary, bay leaf, clove, cinnamon, cardamom, turmeric, cumin, coriander, parsley, nutmeg, mustard, paprika, chili powder, and Himalayan pink salt. Others – Apple cider vinegar, white wine vinegar, balsamic vinegar, and Dijon mustard. It’s clear that all you’ve got to do is steer clear of all processed foods. And if you think that doing that is going to make your meals boring, you are wrong. Here are a few recipes that will make your mouth water instantly. Toss all the ingredients into a blender and blitz it. 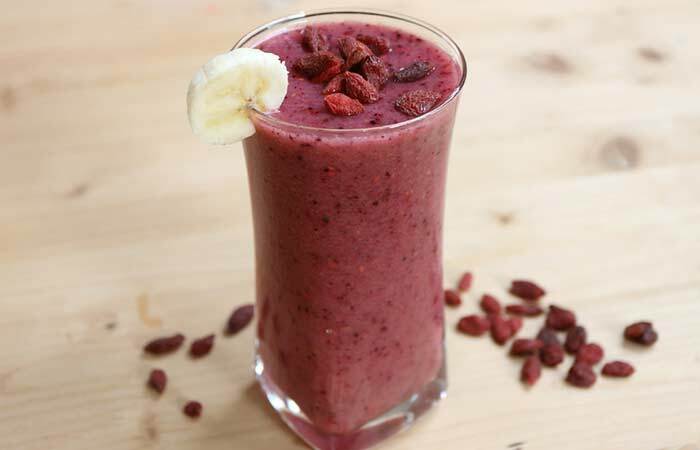 Pour the smoothie into a glass and garnish with a few goji berries. Enjoy a smooth, silky, and delicious breakfast smoothie! Toss the veggies and apple slices into a bowl. Add a pinch of salt on top. In another bowl, mix olive oil, orange juice, balsamic vinegar, and black pepper and whisk well. Drizzle the dressing on top and give the salad a final toss. Top it with crush tofu and dried cranberries, and your salad is ready! Add olive oil to a soup pot and then add the beef. Add the chopped onion, garlic, and ginger. Cover the lid and cook for 5 minutes. Add the carrot and beetroot, salt, and pepper. Cover the lid and cook for 5 minutes more. Add the water, cover the lid, and simmer for 20 minutes. Check if the beef is cooked. If not, cover and cook for 10 minutes more. Transfer the soup to a bowl. Garnish with cilantro, and your dinner’s ready! Delicious, right? But there’s one thing you must know about clean eating. What is it? Find out next. No, the benefits of clean eating are not backed by science. Many others believe that the concept of clean eating may give rise to eating disorders. So, what precautions should you take? Find out next. Treat clean eating as “healthy eating” and include all food groups in your diet to get balanced nutrition. Do not get obsessed with eating only organic, raw, gluten-free, dairy-free foods. If you are gluten tolerant, go ahead and have a slice of bread. The more you treat food as your enemy, the worse it becomes. Do not let clean eating make you anxious or depressed if you couldn’t stick to it. We are humans after all, and sometimes, we need a little piece of snack or pastry to feel good. Clean eating is a healthy eating and lifestyle concept that we encourage you to take up. It comes with the responsibility of eating mindfully. Choose good, local foods when possible and avoid trans fats. You will be all good. Nothing is set on stone, as they say. And today’s clean eating concept might get wiped away by a new nutrition revolution tomorrow. So, test and see if clean eating is something that you really enjoy and if it works for you. Consult your doctor and dietitian, and if you get a green signal, go ahead and try it out. Cheers! If you have any questions, please feel free to ask in the comments box below.